Ultimate Sports Bra Video Tutorial Released! 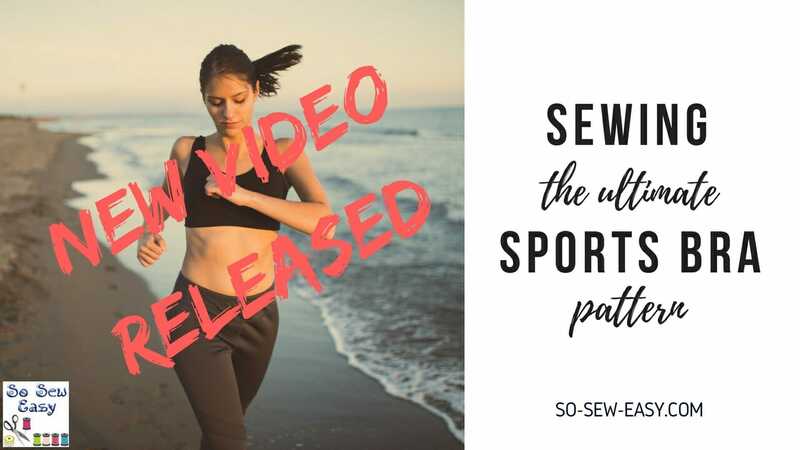 I just wanted to let everyone know that we have published a video tutorial on Sewing the Ultimate Sports Bra on our YouTube channel. There were a lot of people following this project so we wanted to get the video out there as soon as we could. Sewing stretchy spandex and lycra fabrics can be a bit tricky so hopefully, it will help to see the whole process on video. We've tried to show close-ups of my work whenever possible. Please enjoy and don't forget to Like and Subscribe over on YouTube. We really appreciate it. Here's a link to the written tutorial as well as the pattern download link for the Ultimate Sports Bra. You can download the pattern for the Ultimate Sports Bra from our account at Craftsy. 38 Responses to Ultimate Sports Bra Video Tutorial Released! I would love a front opening bra…….any chance you could do a pattern for one? I am going to have to find a supplier of the front opening first. Do you have any suggestions? LOVE your site and your willingness to share so much!! Mayra, hello, this looks great. I have printed the pattern and am ready to trace. Is there a size chart with measurements for each size? Thank you so much for this video and pattern. Very good tutorial. Can’t wait to try making one. Love the new video format and looking forward to trying out the pattern – just what I need at the moment for warm yoga workouts. Thank you for sharing so many patterns and ideas. Thank you for the great demonstration. Thank you for the excellent demonstration. Enjoyed the video. I would suggest using lighter fabrics to make it easier to see especially for older eyes. Thank you. Hi Kathleen, thanks for the suggestion. Good idea. I’ll do that next time. Kind regards and happy sewing! Just yesterday I was thinking I need to make a sports bra. Perfect timing. Thank you. Excellent video! Thank you so much for putting this together. Your instructions are clear and easy to follow. I think this is one of the best instructional videos I have ever watched. Thank you Sandra, means a lot your appreciation. What a gift-the pattern and the video.Thank you! Do I have to alter the pattern for a c-cup bust? I think you will be fine with the L or XL size. It will depend on your under bust measurement and how much your fabric stretches. Print both and see how much your fabric stretches then compare to the pattern. Thank you so very much for this pattern, tutorial and video. For someone who can’t wear traditional bras this is a godsend! Video is great, I understand how to sew, your showing is very good, thank you. Do you have recommendations for accomodating a larger cup size? Hi Karen, I will need a bit more info, send me email with the following measurements bust, chest, under bust, and shoulder to under bust. I will be able to follow this tutorial with a fitting one. I like this sports bra. Thank you. this is a great pattern and thank you for the YouTube Video! great tutorial.